Yoga is the number one choice when it comes to exercise for travellers in Thailand. It is that one type of exercise that requires little to no equipment, and can be done anywhere, at anytime, no gym membership required. If you’re an avid yogi, Thailand is your dream come true, with yoga studios and retreats opening up on the daily. Here are our 5 top yoga retreats for that tropical zen holiday you’ve always wanted. This well known yoga retreat in located on the sandy shores of Koh Samui. Vikasa offers everything under the sun, from detoxing to yoga classes, retreats and even yoga teacher training. Set in tranquil tropical surroundings, you’ll be in blissful heaven. Slightly closer to home is our sister resort, Atmanjai. This resort is aimed at anyone who is looking to better their health, fitness, flexibility, sleep and so much more. With yoga, juice cleanses, water fasts, meditation, and raw vegan food options available, you’ll be spoilt for choice. They even offer every type of yoga class imaginable, so there’s something for everything. Wonderland Healing Centre is set on the island of Koh Phangan. This centre offers packages for as short as 7 days to as long as 22 days days. Whether you’re a newbie to yoga or have been practicing for years, you’ll feel right at home in no time. Their yoga studio is bright, airy and calming, just like your own peaceful wonderland. Said to be one of the best yoga retreats in the whole of Thailand, Absolute Thailand is a luxurious moroccan inspired boutique resort set in the heart of Koh Samui. With 3 fully equipped yoga studios and 25 classes on offer per week, it truly is a yoga haven. Although definitely on the pricier side, they sure do make it worth it! Six Senses is based on the remote island of Koh Yao Noi. With luxury in mind, this retreat focuses on the basics of Ayurvedic practices and puts the relaxation back into yoga. With de-stress and wellbeing at the focus of everything they do, you’ll come out feeling like a whole new person. 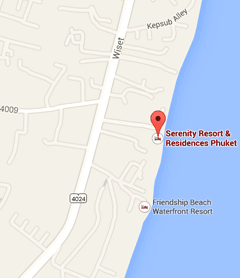 Address: 14 Moo 5, Rawai, Phuket. 83130 Thailand.